T. Kham Vongkham lives in central Florida. She moved there 20 years ago. 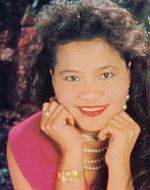 Her stories also appear in various Lao magazines. You can read more about her in her Biography. She is looking for a sponsor and a publisher to print her second edition and her new novel both in English and Lao. She's also looking for an editor, who can help her translate and edit her book. This translation to English was made to present it to all Asiaphoto visitors. Enjoy. Kham is happy to hear your comments. For detail information like author, content or price please click on the cover or title of the book. Once upon a time two brothers lived together in a small stilt hut house located on a small mountain village of northern Laos. Xieng Yai is the oldest, he’s sixteen and Xieng Noi is fifteen. These two brothers were related by marriage. After Xieng Yai’s mother died his father remarried. Xieng Yai’s stepmother, who has a son from her previous marriage, named Xieng Noi. After years of marriage, his father and his stepmother died from a severe malaria that swept through their village. There were only two brothers to survive even though they are very young, but the older one; Xieng Yai was responsible for his younger brother. They were very poor especially after their parents died. There had not been rain for the past seven years, the major drought swept through the entire country including their small village. Food is very hard to find. There is no water anywhere, not even for drinking. They had to get it far away from the small dripping of the high mountain. There are no vegetables, no fishing holes, no livestock, no crop, no grain, no rice, and nothing to eat. They had to go search and hunt for food far away from their village at the deep of the forest mountain. The older brother Xieng Yai, who loved his younger brother, was willing to work hard to bring home anything to share with his brother. Xeing Yai has a big heart. He is a kind, soft, and loving person. He always cares about other people, like showing them how to survive . He’s a hard worker. He doesn’t mind working hard to make people happy The younger stepbrother, Xeing Noi is the lazy one. So lazy that he does not do anything. He does not have any kindness in his heart. He is so mean and jealous of the things that his older brother had done to help the people in the village. All he does is complain that he is hungry, thirsty, or sleepy. He sleeps all day and when he gets up, he expects his brother to have food and water on the table waiting for him. Every morning the older brother, Xeing Yai gets up very early in the morning before dawn to go fetch the drinking water on the mountain. There he will climb up to collect the water and then go down the mountain with heavy bamboo water jugs on his shoulders and walks for several kilometer. By the time he got home the sun was already up, after he bring home some water and then he has to go hunting for food so they can have something to eat for the day. As soon as Xeing Yai gets home his young brother was complaining, "Why does it take so long to get water?" He’s waiting for water to drink. He is so thirsty that he demands his older brother to give the water to him right away. Xeing Noi loved water. He always dreams to have lots of water for himself. He dreams someday to play with water from the ocean. Water and taking a bath made him feel good. He would lift the water jug and pour it into his mouth. Water is dripping and splashing all over the place. He drained the jug into his mouth until his stomach was full. There is very little water left for his older brother, Xieng Yai divided half to take it with him and he has to hurry to the trail of the big mountain forest. The sun was already high. He must move on to go looking for the food so they will have something to eat. Today is very hard day for him. What ever he came across was gone. He went to the bamboo tree but it had already had been taken, the wild tapioca had already been dug up, the wild mushroom had already been picked, the wild palm seeds was already cut, the wild bananas were already taken. The wild berries had been picked already. There was nothing left for him today. The day was almost gone and he did not get anything yet. The other villagers were hungry too. They were also looking for food. They must have gone through the same path before him. His empty stomach is growling with hunger. He had not eaten any food since yesterday’s supper. The sun was very hot. His eyes were getting blurry, his body was sweating, and his leg was shaking. He was getting weak and tired. Yet he would not give up. He has to keep on going looking until he finds some food for supper. His hand is clenching on the small water jug inside the old clothes bag he carried on his shoulder. He thought to himself, if he could not find any food, he would save the water and bring it home to his younger brother who was also hungry and waiting for him to come home. Bush after bush, tree after tree, he found nothing. The heat of the sun was getting very hot, once again his eyes were getting blurry, and his head was spinning around. He had to stop walking. He knelt down on his knee to have a little break, closed his eyes, and took a deep breath. When he opened his eyes he saw an old man standing in front of him. His right hand on his long wooden cane, his left hand on a bamboo water mug. The old man is the Pra-In (the lord from the heavens) who was coming to help him. Pra-In pretended to be the old man wearing an old rag, long white beard, messy hair, very dirty old wrinkled skin, and he also had ugly dirty black teeth. He looked very sick and very pale. He said to Xeing Yai with an old, shaking, tired voice, "Young man I’m very thirsty and hungry, I have had no food and no water for so many days. I will appreciate if you share some of your water with me." The old man lifted his bamboo mug towards Xeing Yai. Xeing Yai putting down the empty cloth bag that he carried on his shoulder pulled out the bamboo water jug that was almost empty. He poured some very carefully into the bamboo mug for the old man. He said, in a kind and honest voice to the old man, "I will share my water with you, but there is not much, food I do not have any today. It has been a hard and long day. I have not found anything yet. If I had any I would share it with you." "The water will be just fine," the old man said. The old man took the offer and nodded his head with a smile of satisfaction. He said, "Thank you, young man you are so very kind." He told Xeing Yai, "I am Pra-In from the heavens. I have come here to help you. Suddenly, he transferred himself from the old man into a very handsome, good looking, young lord with all white shining clothes just like the Pra-In picture drawing in the Buddha temple. Xeing Yai knelt down, and bowed his head low. He folded his two hands together (nop) to show respect. Pra-In said, "I’ve have been watching you from the haven past seven years, you are a hard worker. You are a kind person and that is why I have chosen you to become the lord of your people. You have to make a commitment to take responsibility and make a promise to follow the rules. If you break the rules you will lose this forever." Xeing Yai bows his head to take the promise. "Take this," Pra "In said as he handed the bamboo mug to Xeing Yai. "This magic bamboo mug will give you anything you wishing for. Take this and make a wish and help your people. I’ll show you how to do it." The lord asked him, "What would you like to have?" Xeing Yai said, "I would like to have food and water so I can take it home to share with my brother tonight." "Alright," the lord said. "Remember the rule, to make a wish, use your left hand to touch the mug and swirl it around three times," All of a sudden, delicious looking meat, vegetables, fruits, sweets, and big full jug of drinking water piled up in front of him. "You see, the wish will come true. When you need to stop you have to use your right hand. Remember left hand wish, right hand stop. Always remember that and when you are making a wish you have to be alone. This is very important. Do not let any one see you and keep it a secret. Do not tell anyone. O.K? Xeing Yai accepted the responsibility and understood the rules. Then Pra-In disappeared. The young man pick up all the food, and filled up his old cloth bag. Xeing Yai brought the food home to his hungry brother. This had been the longest time he had waited for food and drinking water. The two brothers ate and ate until they filled up their empty stomachs. They had never seen or eaten this delicious food before. This was their first time in their whole entire life. After they were done eating, the younger brother was curious and asks his older brother, "How? What? Where did all the food come from?" The older brother tells the younger one the truth; "The lord gave it to me. I had to take a vow and not to tell anyone. I am sorry I can not tell you or anyone else either. If I do it will destroy and we will lose everything. I have to keep that promise. He chooses me to help our people so they will not be hungry again." Later on Xeing Yai went inside the house to hide and do magic with the bamboo mug. Left hand wish and right hand stop. All the things his people needed food, clothes, water, and livestock. Things are piling up in front of his house like a mountain. There is plenty for everybody. The whole entire village will not be hungry ever again. The village people were cheering and shouting, "Oh! It is so wonderful! Look at the vegetables they are awesome! Look at the creek; it’s filled with water! The rice field, it’s filled with rice! Look at the fishpond; they are filled up with water and fish! Look at the livestock, there’s all kinds of animals! There is so many of them! They’re everywhere. There will be plenty for our lifetime and the next. We are never going to be hungry again! Everybody is so happy. They talked, danced, and celebrated with excitement. "You really are our lord. Thank you very much! Xieng Noi, the younger brother was very jealous of all the cheers from the crowd Xieng Yai was getting. He wanted those cheers. He wanted the nice things his step brother had. If he had all those things, he would go far away from this place. He would happily keep everything to himself. He would go to the place surrounded by water, like the ocean, so he can play in the water all by himself. The next day, Xeing Noi was going to play a trick to fool his brother into talking and telling what and how to make a magic wish. He really wanted to know how. Xeing Noi really talks sweet to his older brother. "Oh dear brother all our life you have been so kind to me. You care so much about me. I know you love me and I love you too. Besides we are the only family. Just only two of us left. We have been through so much together. We have shared a lot of things all our life. You know one thing I have not had for a long time? I am craving for some fresh fruits. I would love to have some mangos, bananas, oranges, grapefruits, sweet lychee, sweet pears, sour plum, and fresh melon. That will be nice." For the love of his younger brother Xeing Yai went inside the hut house, hide in a corner in his room pulling out the bamboo magic mug out of his old clothes bag using his left hand touch the mug swirling arown three times left hand wish, right hand stop. All kinds of the fresh fruits piled up in front of him. In the mean time the evil stepbrother had planed it all. A little while later, when the older brother was done with his magic, he put the mug back where it belonged, inside the old cloth bag and left the room. The sneaky brother got in the room to the corner stealing the magic mug he took the old cloth bag in a hurry on the way out, he tripped on the fresh fruits laying all over the floor, he scooped up same fruits shoved them inside the old cloth bag. He pulled out the magic bamboo mug was in his left hand and swirling around three times and said, "Come on get me out of here. Take me far away from here. Take me to the place that has a lot of water and has no one around it. Like in front of the ocean so I can have it all for myself. Come on get me out a here," he demands to the mug. Within a second the magic bamboo mug did its magic. The strong wind lifted him up. Took him away from the house to a far away place, the ocean by the seashore. "Wow! How amazing! It is so incredible! It’s so big! My wish came true! I have all this for myself and no one will never know where I am!" how lucky I am, even have a little row boat at the shore for me he said to himself. He rowed the boat away from the seashore, took off his shirt lying down lazily, closed his eyes enjoy the warm afternoon sun. After lying there a while, he was getting hungry. He remembered he had the fresh fruits with him in old cloth bag. He took out the fresh fruits, peeled the skins off and ate it. He ate sweet fruits first, the bananas, then the lychee, then the sweet pears, then the mangos, and then the oranges. After the sweets, he went on and ate the sour plum before he got to the sour grapefruit. This plum was really sour and needed salt (Lao people eat the sour fruits with a dash of salt). Xeing Noi who left hander, he used his left hand and lifted the magic bamboo mug up and said give me salt. I said I want a salt! Within a second the pure white shine salt is pouring down from the magic bamboo mug more and more are coming, that is enough! That is enough I said, he was banging the mug up and down the more his bang the more the salt poured down. There is so much of it, he got so frustrated for the salt did not stop coming. Note: This story has been told, through the ages, by the old storytellers in Laos. No known English version exists.